not far from the foaming Lake. to swab and wax till dawn. to his bucket and mop. and peek out the window. Donal Mahoney lives in St. Louis, Missouri. A native of Chicago, he spent the early Seventies actively submitting poems to print journals and enjoyed some success. 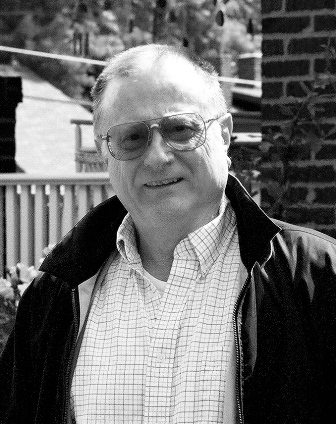 He then took a 35-year hiatus from poetry to work as an editor of prose at such lofty establishments as the Chicago Sun-Times, Loyola University Press, and Washington University in St. Louis to support and educate five children. Upon retirement, Donal took to his recliner, and was perfectly happy sitting and listening to Gregorian chant all day. After three years, however, his wife interrupted with a Gregorian chant of her own. She bought Donal a computer and showed him where the boxes of still-unpublished poems had been stored in the basement for many years. Thus Donal began actively submitting again in June 2008. He has since had more than three hundred poems published here and abroad, an achievement he credits largely to his wife. Fantastic poem, Donal. Thank you and Merry Christmas. I very much agree with Sherry's statements. Thank you so much for YDP, Jayne ~ it means more than you know, it has touched my life as well. Wishing you a Merry Christmas and the best in the New Year! You are so very welcome, Sherry. YDP brings tremendous joy to my life and the opportunity to get to know poets, poetry lovers, and poetry skeptics around the world is like having Christmas all year long! Thank you, Donal, and thank you to your wife! Loved the story this poem told, the images. I want to write a thank-you to Jayne, the host of YDP. It is an incredible amount of work to solicit poems, search for them, and select which to use for EACH day of the year, then to write something about each one as an introduction. That would soon become a dreaded chore for many people, but Jayne continues to do it, to her readers' delight. Thanks Jayne, for YDP and all your hard work! You bring poetry to the masses, where it belongs. Merry Christmas! A wonderful Christmas poem that tells a beautiful story. Thank you Donal. A poetic treat to take the reader from Pedro's work-world and lifestyle to his grand arrival in Nuevo LeÃ³n. I can feel the joy and celebration of his waiting children and can hear his Esperanza singing. Great images; unique poem. Note: I have enjoyed reading other poems by Donal Mahoney at this site. Thinking maybe I should find the cd I have of Gregorian chant and listen.